Including our Flower of Life Art Gallery happenings. 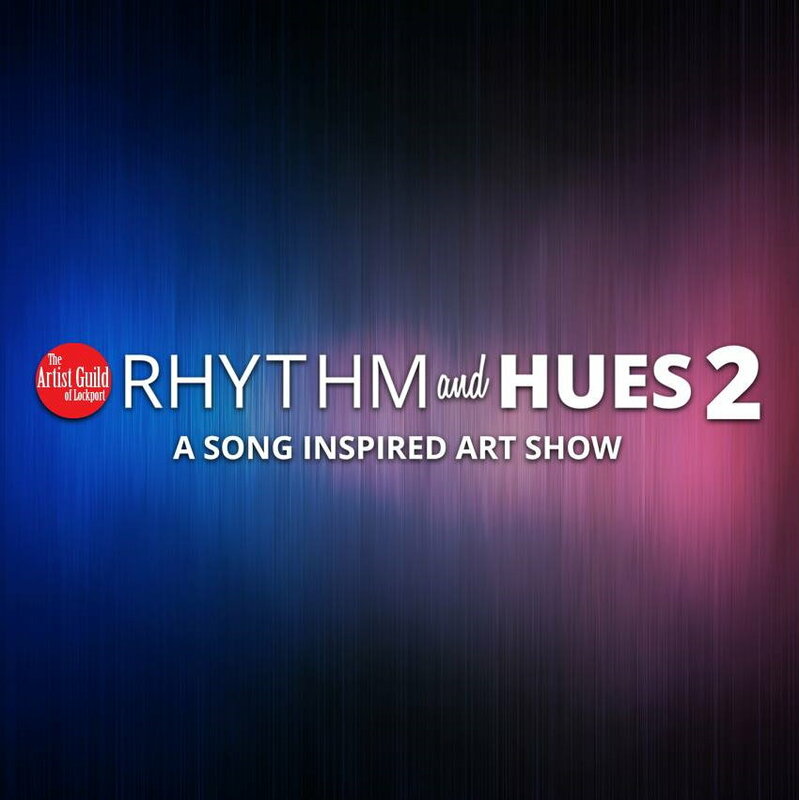 The Artist Guild of Lockport is pleased to present Rhythm and Hues 2 a song inspired art show. The show runs from April 13th through May 25th 2019 with an opening reception Saturday April 13th from 6:00-9:00 pm. Snacks and refreshments served. Please park in the lot behind the Art Gallery or at the Metra Station 1/2 block north of the gallery on State St.
You are hereby invited to join us in a celebration to commemorate the 25th Anniversary of Tattoo City - Skin Art Studio in Lockport, IL. Saturday June 1st, 2019 marks the quarter century mark and we will be celebrating by throwing a big party along with a Tattoo Flash Art Show in our Flower of Life Art Gallery. It was June 1, 1994 that Larry Brogan opened the doors to Tattoo City and embarked on 25 years of tattooing in Lockport, Illinois. The shop has evolved over the years and even moved locations in 2013 to it's own free standing building complete with it's own art gallery, the Flower of Life. Thank you to the many artists that helped us build our great reputation through the years and thank you to the many thousands of clients who have trusted us with their body art. Without you all we could not have lasted all these years. Our Art Gallery will host "FLASH BACK" an art show taking us back to the days when tattoo shops had sheets of tattoo designs or what we call "Flash" covering the walls for prospective clients to choose their tattoo designs from. Today things have changed with the digital age with most people using internet image searches and flashing their phones to show us examples of what they want. This art show will showcase tattoo designs from artists around the globe and help bring back the nostalgia of 20th century tattooing. Our Client Appreciation party will be held from 12noon till 8pm and FREE Goody bags will be given out to the first 250 adults which includes a $25 off coupon for your next tattoo. There will be Tattoo Contests with prizes from 5pm-7pm. Worst tattoo will receive a gift certificate towards a cover-up at Tattoo City. Vote for your favorite sheet of Tattoo Flash in our "Flash Back" Art Show. The winning artist receives a prize package including a free tattoo machine. The VIP Party kicks off at 8pm and runs until Midnight. You must have the 25th anniversary lanyard and pass to enter. Follow updates on our Facebook Event Page here.